Composed by Dutch Melody. Arranged by James Gilbert. Contemporary Classical, Sacred, General Worship, Jazz, Pop. 25 pages. Published by James Gilbert Music (S0.68165). 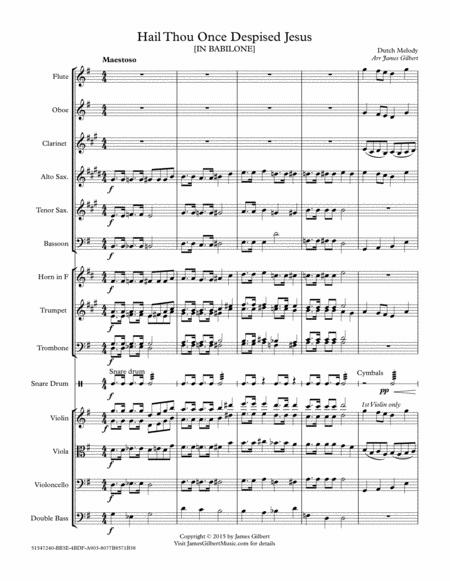 An orchestra arrangement of this hymn. Hymn tune: IN BABILONE. 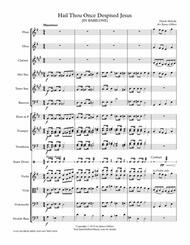 Instrumentation: Flute, Oboe, Clarinet, Alto Saxophone, Tenor Saxophone, Bassoon, Horn, Trumpet, Trombone, Percussion (Cymbals, Snare Drum, Triangle, one player), Violins (2), Viola, Cello, Double Bass.